Thank Goodness for (self-stick) Googlies!! The Ghoulish Googlies Designer kit makes perfect Halloween luminarias – as long as you put a battery operated tea light inside instead of a real wax candle! I ran the bag through the Big Shot with the new Chevron TIEF (Textured Impressions Embossing Folder) and used a little Champagne Mist Shimmer paint to sparkle it up, thought it doesn’t show well in this photo. 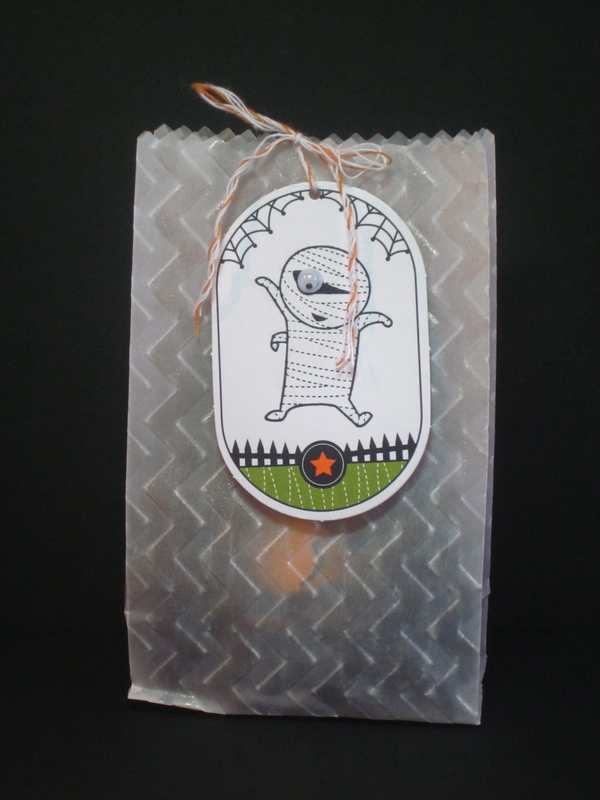 It was quick, easy and fun, and the kit includes supplies for 10 bags, tags and twine, PLUS a full sheet of Googlie Eyes. Just add stamps and you’re set!